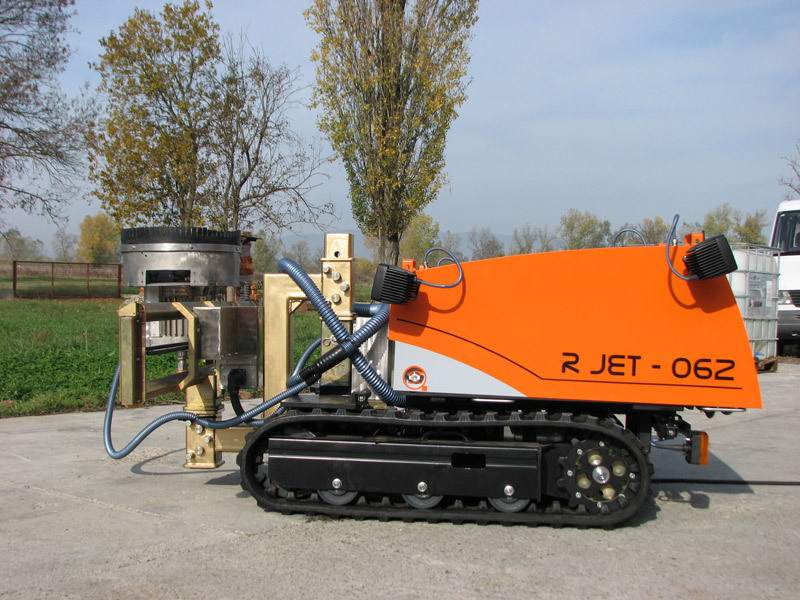 The R Jet – 062 is the world’s most versatile and modular hydro demolition and water jetting mobile robot. 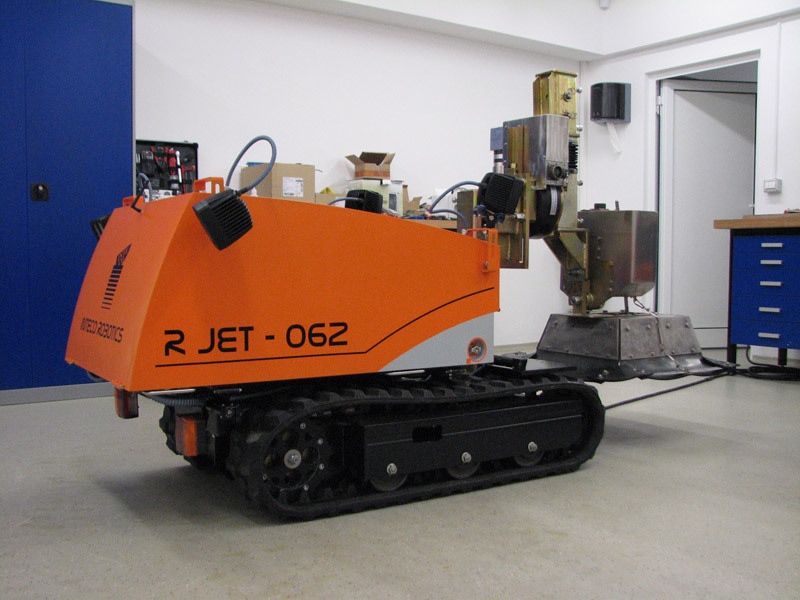 A bit larger than the 061, the R Jet – 062 is still compact and weighs only 520 kg. 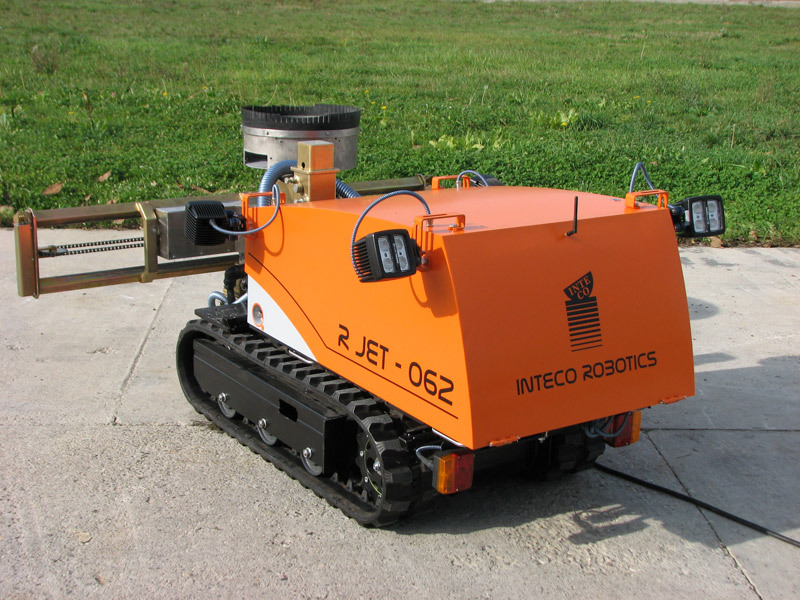 But the sturdier undercarriage enables the robot to carry its own power supply making it amazingly modular and easy to drive around the site. 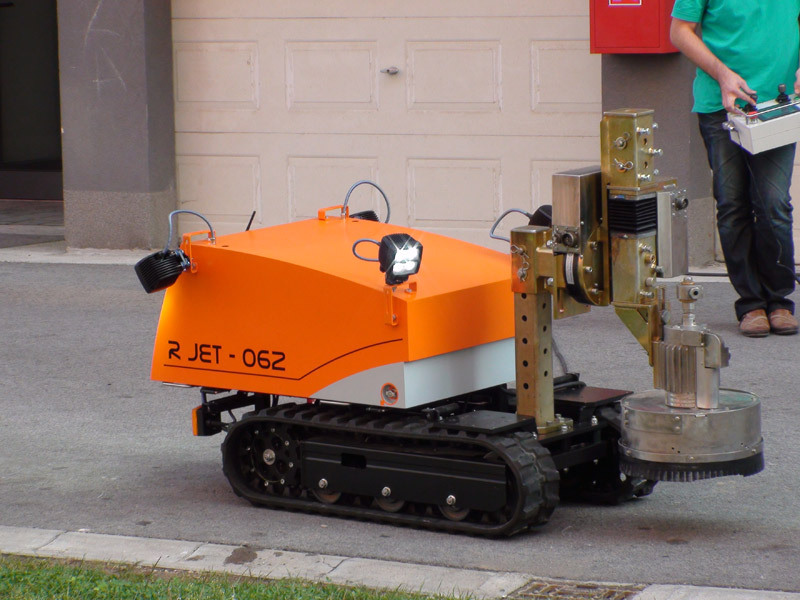 The robot has been designed to meet the most demanding on-site requirements which have currently been done by much heavier and more expensive machines and above all that it can work under 80 cm and inside of pipelines from 1,3 m in diameter. 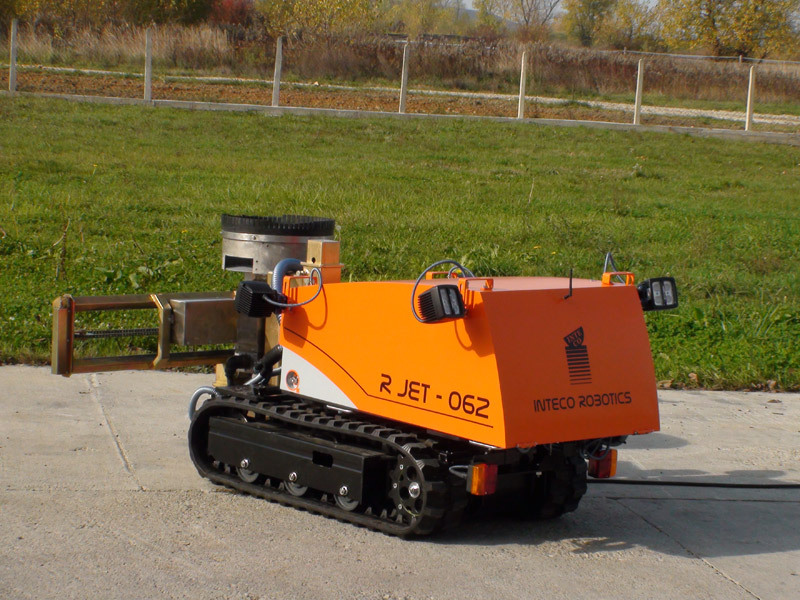 Thanks to its flexibility the R Jet – 062 can be used in a variety of different applications across a range of industries. To learn more about possible applications click on Applications in the menu. 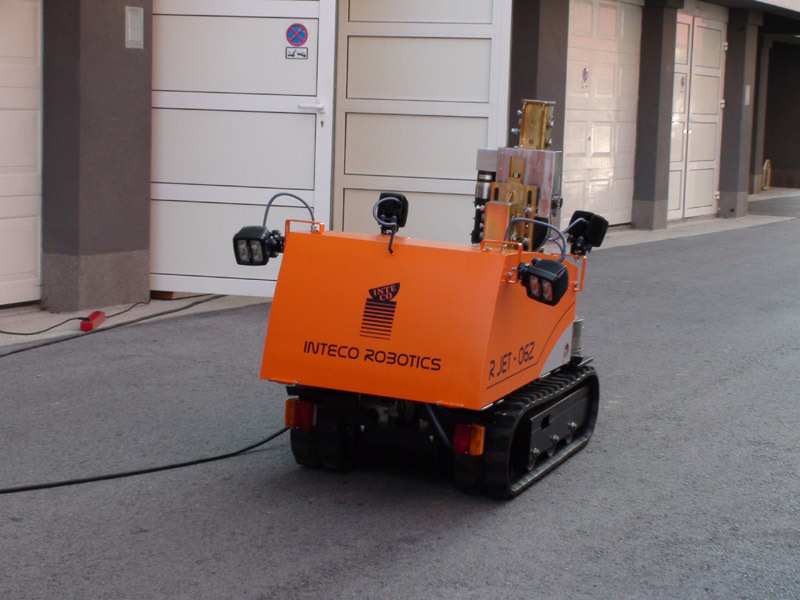 Thanks to the above the robot can work on scaffolding or a hanging platform or use stairs for driving to higher floors in a building. 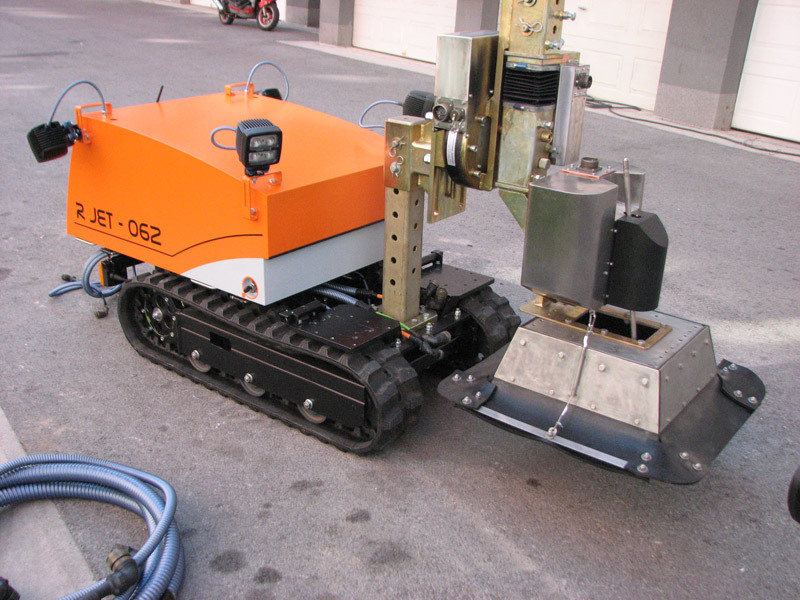 It can also pass through standard doors and openings on closed sites or enter pipelines and tunnels. 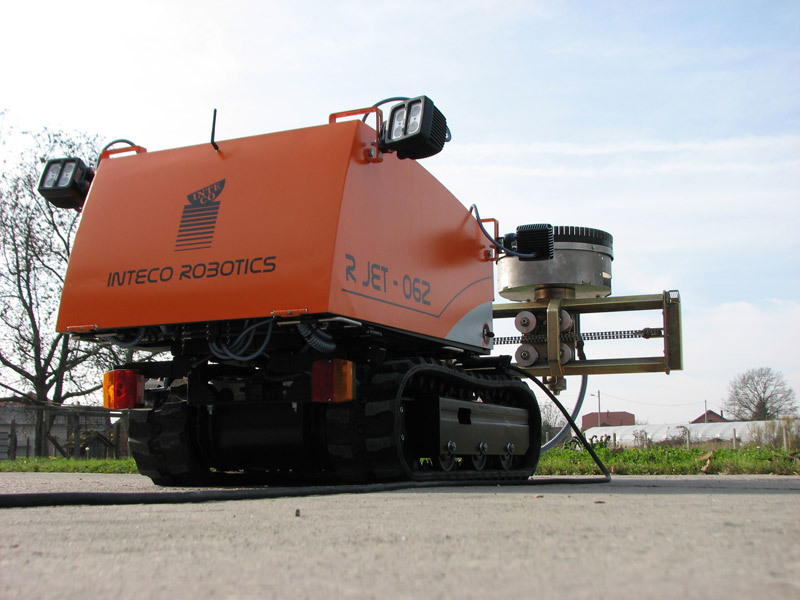 To see it in action click on Image or Video gallery in the menu or contact us for a live demonstration.